fully native, innovative application for mobile devices. "Eliminate unnecessary duplication of data"
"Reduce the possibility for transcription errors"
"Facilitate the collection of accurate and complete data"
NEForm is a high performance mobile solution for eSource data capture at point-of-care. Since 2006, NESS has been providing clients with mobile solutions. Our products were developed for clinical trials, where security, usability, and adaptability are of the utmost importance. 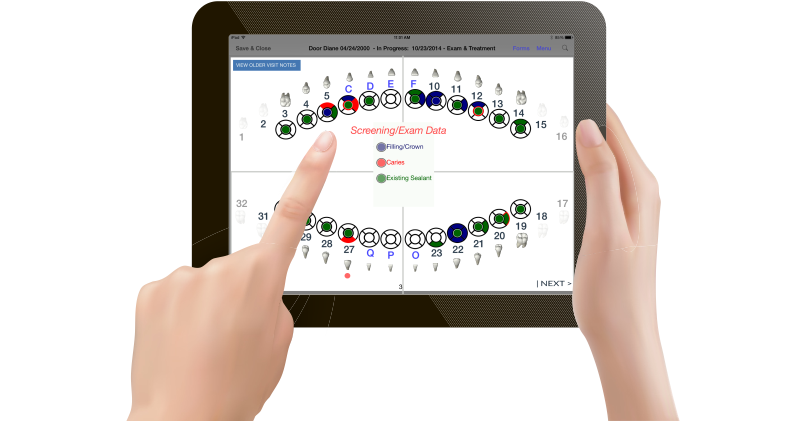 NEForm supports study eSource data capture and ePRO all on one platform. Using our technology, we can convert complex protocols into user-friendly formats. Our design system allows us to mimic existing forms, making integration with existing systems quick and painless. Despite our agile development cycle, we don't sacrifice data security or reliability. Collect PROs on-site or from patients' personal mobile devices with our fast and secure app deployment and authentication. Intuitive and user-friendly data entry interface.